I don't need a resolution to make 2018 better than last year (a change in the White House wouldn't hurt either, psst, Jesus, Santa Claus, Three Kings, anybody out there listening). I have a new book coming out in the new year and I have been given the gift that keeps on giving, music. Steve gave me a gorgeous guitar for my birthday last month and I've already learned several new songs. I think everyone should give the gift of music, even if you are a professed shower singer, like myself. Here's to being grateful for another minute, another day, another year. Happy New Year! Go forth and make music! I live in a neighborhood where a ratty 1940s two-bedroom, one-bath home, about 1000 square feet, sells for $900.000, give-or-take. Fix it up, like add a third bedroom and bathroom, and you are well into the million dollar-plus category. Still, chances are if you sell the house, the new owner will demolish it and build a modern 2,000-3,000 square foot, multi-layered monstrosity, like the house up the street. That's just the way it is if you live anywhere in the Westside near the 405 or what the old timers called the Santa Diego Fwy. Now, for those prices, one might think that the location would be Brady Bunch pristine--tree-lined streets, sparkling sidewalks, and little traffic. Not so. Two blocks away from my house, at the corner of Venice Blvd. are two grease-stained auto-repair shops, tattoo and massage businesses, a Cuban-Mexican fused panaderia and marketa (forgive my Chicanismo), two hipster bars, a Vietnamese noodles place, two hair salons, a soccer-only sporting goods, a fingernail specialist, and a number of Thai, Nepalese, and Middle Eastern restaurants. Except for people in a hurry or on their phones, everyone I pass is friendly enough. Mostly, they all say good morning or nod. Sometimes, I stop for conversations, like with Jeff, a Mongrel club motorcycle rider, who spent $7,000 on vet bills to treat a dog that wasn't even his. "It's my dog now," he told me, emphatically. As I walk my dogs, I need to keep their noses out of the high weeds where people throw trash out of their cars. My dogs are game for eating anything that resembles food. I recently read D.K. Suzuki's essays on Zen Buddhism, more an academic treatise than a how-to book. So, I try to find beauty in the world surrounding me. In the early morning light, and as the sun sets in the evening, most things, I find, are beautiful: the trees, the dirt, the grass, hedges, the sky, and even the reflections off the broken glass. I am conscious of my breathing and thankful that my body still functions, if not perfectly, at least effectively. I use fire hydrants to do stretching exercises and low fences for pushups. About a month ago, I discovered a box of dusty books in a cardboard box out in front of a house a few blocks from my house. Of course, whenever I see anyone tossing books, I always look at a title or two, and I usually keep moving when I see cheesy romance and mystery novels. This time, there were books on philosophy and biology, and classic novels I'd already read. I reached town to pick up a thick tome--Leo Tolstoy's biography. The cover was torn, and though dirt-smudged, the book seemed to be in good shape. Naw, I thought to myself, I don't need to start bringing home stray books. As I continued walking my dogs, I kept thinking about the book. I mean, I've always found Tolstoy's writing provocative and profound, like his short story "How Much Land Does a Man Need?" It's about greed and how a man is promised all the land he can cover on horseback in a day's ride. There is a devil in there somewhere at whose urging the man pushes himself and his horse hard, trying to cover more land than he needs. At the end of the story, the man dies from exhaustion. He is buried in a grave six-feet by six-feet, and the narrator tells us that truly is all the land a man needs. It's been a long time since I read the story, and I might have confused some facts, but, after all these years, it's impact still resonates, especially now, at a time, when I see so many becoming slaves to credit cards and possessions, as well as huge house expenses. Back around 2010, I decided to read War and Peace, all thousand, or so, pages of it. It was so large, I mean, literally big. I needed two copies, one to carry in my car and one to keep at home. I read it every chance I got, and it still took nearly six months to get through it. Tolstoy threw everything into that novel, personal stories, historical documents, newspapers accounts, and even anthropological studies. I really made headway on a vacation to Puerto Rico, where I read for hours each day as I sat on the beach or in cafes. Now, when I see the pictures of Puerto Rico's devastation after this last hurricane, I think of the place fondly, and how Leo Tolstoy accompanied me as I walked San Juan's streets and found solace on its beaches. How could I leave Tolstoy's life cramped in a dirty box to be thrown out next trash day? So, I reversed course, pulled my dogs back, away from home. They didn't come without a fight. When I found the house with the books, I saw the biography was still there, as if it had been waiting for me, like it knew I was returning. I reached down and snagged it. It is about 700 pages, so it's a commitment, and I've been plowing my way through Tolstoy's life for a month now. For me, reading writers' biographies has always given me, not only inspiration to write, but many practical tips, as well. I read that Steinbeck would write in a journal before beginning each day's writing, describing how he'd approach the story that day. He also said he could only write after sharpening a certain number of pencils each morning. He viewed writing like a skilled tradesman views his craft, punching in and out at the same time each day, six days a week. For me, one of his more engaging lines was, "I don't know what an author does, but I can tell you what a writer does," or something to that effect. I've found that Russian writers are excellent models for writers from working class backgrounds. Their language, unlike some British and French writers, is more accessible, direct. When I read Chekov, I could see my friends and relatives in his characters, and in the situations he placed them. Though Tolstoy wrote about the upper classes, he did so not by glamorizing and romanticizing them, but by showing they foibles, insecurities and weaknesses, the rich as commoners. Unlike many writers who supported themselves by their work, Tolstoy didn't have that problem. He was a count and fairly rich. He wrote because he wanted to write. His friends and his wife were often angry at him because he spent more time with the peasants than on his next novel. He spent time in the fields chopping wood, carrying water from the well, and hauling hay. He was interested in creating an ideal society. He struggled mentally because of the poverty around him. He started schools for the peasant children, and he wrote books on education, religion, and life. To his wife, Sonya, this was all just an excuse to avoid writing his next novel, a waste of his genius, she thought. After all, War and Peace, Anna Karenina, and The Death of Ivan Ilich were viewed by many as masterpieces. Why do some good writers stop writing? I have friends, wonderful writers, who published one or two books and stopped. The great Mexican writer Juan Rulfo wrote only two books in his lifetime, Pedro Paramo and Al Filo del Agua, both considered masterpieces in world literature. He spent years on a third book he refused to publish, thinking it was never good enough. So, two books was his life time's production, not bad, like batting only twice in the major leagues and hitting grand slams both times. Then there are writers who write ten, twenty, thirty books, an astonishing production, but no masterpieces, not even close. Tolstoy suggested that he didn't write more fiction because he viewed it as frivolous when society had so many other important problems to confront. Yet, is it as simple as that? I know that each time I sit to a new novel, I must first overcome my fear. For artists, especially writers, whose words have direct meaning, fear is a constant: the fear of losing oneself, of failing, of insulting others, of getting it wrong, but mostly, for me, of entering the unknown. I understand how Tolstoy, after writing--no, struggling and suffering during the creation of War and Peace, including years of meticulous research, writing, and re-writing, was, then, terrified to have to do it again. This man, tortured by his wealth, knew that money, property, and possessions were an albatross around his neck. He tried to find ways to do as Christ told him to give it all away to the poor and come follow him. How could he do this and yet not hurt his wife and children, people who didn't want to be a saint like him? At the same time, Tolstoy turned his back on the State and the Church, seeing both of those institutions as the cause of man's suffering. Yet, he still attempted to live by the spirit of Christ's words. What must he have thought when asked, "When can we expect your next novel?" To Tolstoy, like all great writers, literature wasn't only entertainment, written for his audiences' joy of reading. Literature was life itself. When the masters create, it is only their creation that matters at the time. They must put aside family, friends, and obligations. Everything else becomes secondary. They must enter into a world where they are like gods whose creations wait each day for instructions to continue with their lives. When a writer's character dies, a little piece of the writer dies. When a character finds love, a piece of the writer experiences the same love. Is it real or only imagined? When a writer returns from his or her imagined world, how does he or she act after being so disassociated with anything outside that world? It's like living inside a paradox or an irony. There is no doubt in my mind why artists often seek refuge in alcohol, drugs, or even suicide. What must Ernest Hemingway have experienced when he knew he would never produce another For Whom the Bell Tolls, The Sun Also Rises, or A Farewell to Arms? Some might say that it is only pride and vanity. But those who create know that the truth lies much deeper. So maybe, for me, there is something to be said for the sound of the noise coming from the auto repair shop at the corner, the voices of homeless gathered around a bus bench, the sheen from pieces of a broken bottle, or even box of books tossed to the curb, for one never knows what miracles might arise from the detritus around us. Posted by Daniel Cano at 12:00 AM 2 comments. Click here to leave a comment. 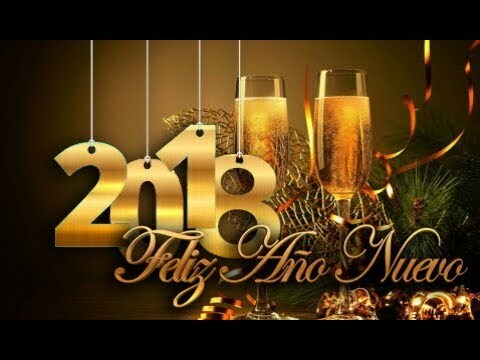 Feliz año nuevo to all blogueros. Here are some end of the year traditions from Latin American countries. For this end of the year celebration, you can follow one or more of these traditions to have a wonderful feliz año viejo 2017 while you wait for el año nuevo 2018. In Argentina, the entire family gathers together around 11:00 at night to partake of a good table of traditional dishes. Just before midnight, people hurry out in the streets to enjoy fireworks. 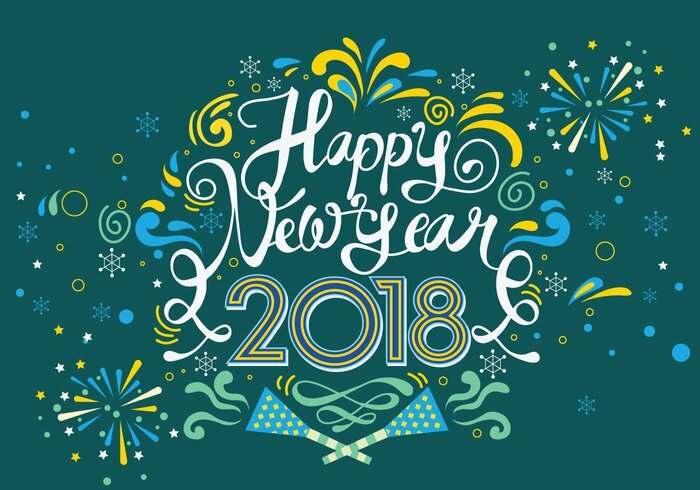 The first day of January is celebrated at zero hours with cider or champagne, wishing each other a happy new year, sometimes sharing a toast with the neighbors. People go to parties and celebrate until dawn. The Ano Novo (New Year in Portuguese) celebration, also known in Brazilian Portuguese by the French word Reveillon, is one of the country's main holidays, and officially marks the beginning of the summer holidays, that usually end by Carnival (analogous to Memorial Day and Labor Day in the United States). The beach of Copacabana (in Portuguese: Praia de Copacabana) is considered by many to be the location of the best fireworks show in the world. Brazilians traditionally have a copious meal with family or friends at home, in restaurants or private clubs, and consume alcoholic beverages. They usually dress in white, to bring good luck into the new year. Fireworks, offerings to African-Brazilian deities, eating grapes or lentils are some of the customs associated with the holiday. The city of São Paulo also has a famous worldwide event: the Saint Silvester Marathon (Corrida de São Silvestre), which traverses streets between Paulista Avenue and the downtown area. In other regions, different events also take place. At Fortaleza (Ceará) there is a big party by the yacht area. People gather together for dinner and for a show of one band/group that usually plays during Salvador´s Carnaval. Ecuador celebrates a unique tradition on the last day of the year. Elaborate effigies, called Años Viejos (Old Years) are created to represent people and events from the past year. Often these include political characters or leaders that the creator of the effigy may have disagreed with. The dummies are made of straw, newspaper, and old clothes, with papier-mâché masks. Often they are also stuffed with fire crackers. At midnight the effigies are lit on fire to symbolize burning away of the past year and welcoming of the New Year. The origin of the tradition has its roots in pagan Roman and pre-Roman Spanish traditions still celebrated in Europe and which were brought to many countries of Latin-America in colonial times. Other rituals are performed for the health, wealth, prosperity and protection. For example, traditionally each person eats twelve grapes before midnight, making a wish with each grape. Popularly, yellow underwear is said to attract positive energies for the New Year. Finally, walking around the block with one's suitcase will bring the person the journey of their dreams. In the town of Antigua, Guatemala, people usually get together at the Santa Catalina Clock Arch to celebrate Fin del Año (New Year's Eve). The celebrations are centered around Guatemala City's Plaza Mayor. Banks close on New Year’s Eve, and businesses close at noon on New Year’s Eve. Starting at sundown, firecrackers are lit, continuing without interruption into the night. Guatemalans wear new clothes for good fortune and down a grape with each of the twelve chimes of the bell during the New Year countdown, while making a wish with each one. The celebrations include religious themes which may be either Mayan or Catholic. Mexicans down a grape with each of the twelve chimes of the bell during the New Year countdown, while making a wish with each one. 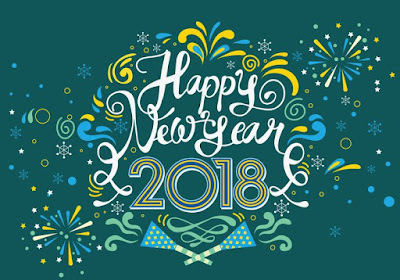 Mexican families decorate homes and parties, during New Year's, with colors such as red, to encourage an overall improvement of lifestyle and love, yellow to encourage blessings of improved employment conditions, green to improve financial circumstances and white to improved health. Mexican sweet bread is baked with a coin or charm hidden in the dough. When the bread is served, the recipient whose slice contains the coin or charm is believed to be blessed with good luck in the new year. Another tradition is making a list of all the bad or unhappy events from the current year; before midnight, this list is thrown into a fire, symbolizing the removal of negative energy from the new year. At the same time, thanks is expressed for all the good things had during the year that is coming to its end so that they will continue to be had in the new year. The celebration in Mexico City is centered around Zocalo, the city's main square. In Venezuela, those who want to find love in the New Year are supposed to wear red underwear on New Year's Eve; those who want money must have a bill of high value when toast, those who want to travel must go out home while carrying some luggage, and so on. Yellow underwear is worn to bring happiness in the New Year. Usually, people listen to radio specials, which give a countdown and announce the New Year according to the legal hour in Venezuela, and, in Caracas, following the twelve bells from the Cathedral of Caracas. During these special programs is a tradition to broadcast songs about the sadness on the end of the year, being popular favorites "El año viejo", "Cinco pa' las 12" and "Año nuevo, vida nueva". Posted by Rene Colato Lainez at 12:00 AM 0 comments. Click here to leave a comment. No Happily Ever Aftering in SanTana. 2017's Closing On-line Floricanto. Review: Sarah Rafael Garcia. SanTana's Fairy Tales. Austin, TX : Raspa Magazine, 2017. Fairy tales come in many shapes, colors, and degrees of dramatic intensity, from treacly-sweet Disney Beauty and the Beast to Jean Cocteau's masterful La Belle et la Bête. If there’s a truism about many fairy tales it’s a story whose fantasy characters live happily ever after, and there’s a moral to the story. If there’s another truism about fairy tales it’s that there’s nothing simple about many of them. 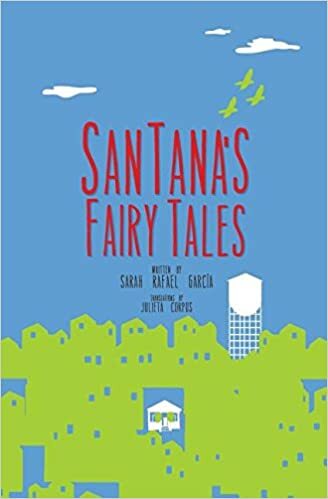 Sarah Rafael Garcia’s Santana’s Fairy Tales illustrates both, and much more. Certain readers will automatically read Santana’s Fairy Tales twice, while others will look at the second half of the book—or the first--longingly. The volume comes with seven stories and an author biography, in English, followed with the same material translated into Spanish by Julieta Corpus. This dual-language feature alone makes SanTana’s Fairy Tales a classroom teacher’s fantasy, a classroom set. No one lives happily ever after, not in gentrifying Santa Ana, California, where no one is entitled to being happy. Perhaps happiness is a fairy tale, is there a lesson to be learned here? The fairy tale for these characters is that they live at all. Lived. Could have lived. These people have been disappearing from their town, their neighborhoods, for a hundred years, the narrator laments in the story of the ghost carousel of the new promenade. A couple of the personae, in fact, are dead and narrate their tale from a transitory place. Sarah Rafael Garcia gives voice to men and women. Setting the scene for the intertwined stories, a male voice lays out the urban landscape haunted by the greedy spirit of the anglo founder of the city. Jingling coins in Señor Billy’s pocket in other fairy tales might be the smell of sulphur and the cloven foot. Those coins will be jingling in other SanTana tales, a motif Garcia employs effectively to keep the overarching narrative in focus. Zoraida narrates the next story, “Zoraida/Marisol.” She is enchanted, and dead. Hers is the voice of a Spirit cycling through a perpetuity of alternation between giver of death and madriña to life. In life, Zoraida’s spirit filled the corpus of a boy named Gabriel. For transgender gente there aren’t many happy endings. Grim fairy tales welcome comic relief, even when it’s at the expense of helpless renters and homeowner whose adamant belief in eviction-defying signs echoes the fairy tale belief in Indulgences protecting one against evil. Jingle jingle. Selling Indulgences was a Sin. Buying them was a sucker's move. Is there an alternative for the renter or the homeowner standing the path of condos and strip malls? To some readers, Garcia’s stories will evoke familiar childhood stories, just retold in the setting of the final days of a once puro raza pueblo. I think I recognize Hansel and Gretel. Readers who weren’t raised with a lot of fairy tale books will nonetheless believe the title and take the stories as fitting some moral or propaedeutic purpose. The book is easy on readers with ample white space and an easy-to-read sans serif typeface. The publisher, the editor, the author, will profit from closer attention to spelling. Sadly, numerous errors pepper the pages, distracting even the most forgiving reader. Cathy Arellano writes the introduction, "Fairy Tales For Truth and Justice," but isn't credited in the translation. Readers will enjoy the tales for themselves. Communities wanting to stop or slow their erasure can begin with awareness and empathy for others. Here is where SanTana’s Fairy Tales can inform an effort by defining terms and evoking souls who merit better. In her final chapter, Garcia the writer steps out from behind her keyboard to offer her version of Prospero’s speech. She gazes out her second-story window in Santa Ana’s urban redeveloping Artist Colony, looks across the promenade to the fountain where the carousel stood, and sees such stuff as dreams are made on. She doesn’t want them to vanish into thin air. To arm us in the revolution. this is not, this is not! Verbal offenses by the man "acting"
This land was taken from the native people whose ancestry remains and will never vanish. Yet, the current status of this society is one where open discrimination is allowed. This country was erected with the sweat of many many Immigrants. However the clown in office has no clue about nothing because he never experienced poverty, necessity, desire to overcome and provide for his loved ones. There is no people of color in his family or friends. According to him everyone else is "Undesirable". Rest of the World that you are always welcomed here, always! This nightmare will pass and we will survive despite the atrocious nonsense! Andrea Hernandez Holm. Born and raised in the desert of central Arizona, Andrea is a writer of poetry, fiction, creative non-fiction, and scholarly works. She is a keeper of stories and a teller of stories, most of her writing focusing on the exploration of identity. She lives in Tucson with her husband and sons, and is blessed to be near family and friends. 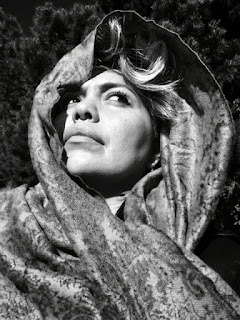 Andrea is a published poet with works appearing in Generations Literary Journal, La Bloga, The Blue Guitar, La Sagrada. Her poem “Not Enough-Too Much” was featured in the “Best of 2012” edition of La Bloga. Her poetry, fiction, and non-fiction essays have appeared in the anthology Poetry as Resistance, Yellow Medicine Review, Wisdom of our Mothers, and Our Spirits, Our Realities. She is currently working on her first collection of poetry. 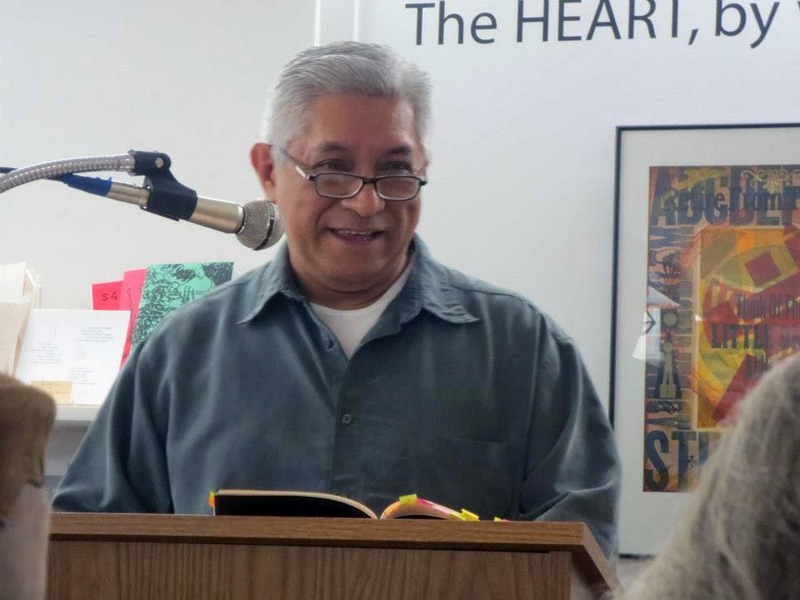 RaúlSanchez is the author of "All Our Brown-Skinned Angels", a bilingual poet, an interpreter, translator, a 2014 Jack Straw Fellow, Poetry on Buses judge, a TEDx participant, human rights advocate and a mentor for the PONGO Teen Writing program in the Seattle Juvenile Detention Center as well as poetry mentor for the Program Writers In The Schools. Marion I. Lipshutz is a Jewish feminist, democratic socialist and aspiring writer who has been centering her anti-Trump activism in progressive New York Jewish organizations. 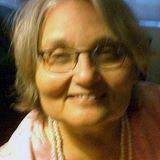 In 1981, she earned her MA in anthropology from the New School for Social Research, and in 1988, her MSLIS from Pratt Institute. She lives in Brooklyn, NY. She would like to thank Odilia Galvan-Rodriguez for seeing the poetic potential in what started as a single sentence. Sonia Gutiérrez’s bilingual poems have appeared in the San Diego Poetry Annual, Konch Magazine, and Poetry of Resistance: Voices for Social Change. Her fiction has appeared in the London Journal of Fiction, Huizache, and AlternaCtive PublicaCtions. Sonia’s bilingual poetry collection, Spider Woman / La Mujer Araña, is her debut publication. She is a contributing editor for The Writer’s Response (Cengage Learning, 2016). Currently, she is moderating Facebook’s Poets Responding, working on her manuscript, Sana Sana Colita de Rana, and completing her novel, Kissing Dreams from a Distance. Her libro artesano for children, El Lugar de los Alebrijes / The Place of Alebrijes (Nódulo Ediciones and *Asterisco Editora de Poesía) is forthcoming. Her poem, “Study Skills” / "Técnicas de estudios" / "Skills de Studying" appear in her manuscript, Legacy / Herencia. Francisco J. Bustos and Sonia Gutiérrez participated in Ilan Stavans's Don Quixote en Spanglish reading at the CECUT in Tijuana, Baja California. 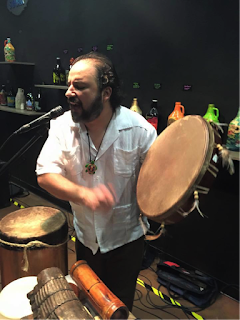 Francisco J. Bustos is a bilingual poet, translator, and musician who grew up in Tijuana and San Ysidro and now lives in South San Diego. He is a Professor of English Composition at Southwestern Community College (Chula Vista, CA, ) where he also coordinates the literary series "SWC Guest Writer Series.” In 2009, he founded Frontera Drum Fusion where he plays guitar, bass, Pre-Colombian and world percussion, digital music and performs bilingual poetry in mainly Spanglish and/or Ingleñol. 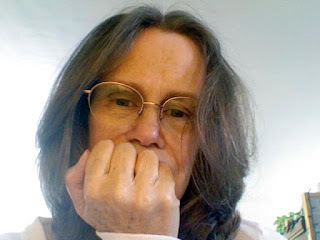 Sharon Elliott has been a writer and poet activist over several decades beginning in the anti-war and civil rights movements in the 1960s and 70s, and four years in the Peace Corps in Nicaragua and Ecuador, especially in multicultural women’s issues. She is a Moderator of Poets Responding to SB1070, and has featured in poetry readings in the San Francisco Bay area. Her work has been published in several anthologies and her poem “Border Crossing” appears in the anthology entitled Poetry of Resistance: Voices for Social Justice, Francisco X. Alarcón and Odilia Galván Rodriguez, eds. She has read it in Los Angeles at AWP and La Pachanga 2016 book launch, in the San Francisco book launch and at the Féis Seattle Céiliedh in Port Townsend, WA. Her book, Jaguar Unfinished, was published by Prickly Pear Press, 2012.